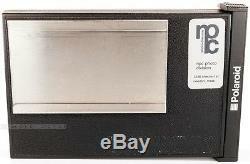 For HASSELBLAD The following Polaroid film can be used: 664, 665, 667, 668, 669, 679, 689, 690 + possibly many more as: Fuji FP 100 C... But you will have to do some research please. 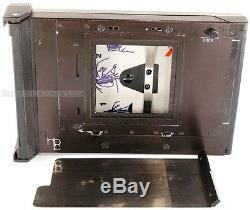 FOR ALL 200 & 500 Series HASSELBLAD AS: 500C, 500C/M, 501CM, 503CX, 500EL, 500ELX, 202FA, 203FE, 205FCC... CONDITION: USED BUT STILL IN GOOD USABLE CONDITION NORMAL USUAL SIGNS OF USE - SEE PHOTOS PLEASE. The item(s) will be sent to your Pay-Pal address ONLY, please make sure your address is confirmed. 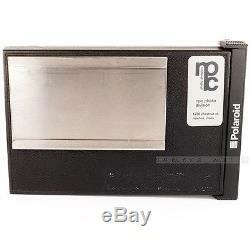 The item "NPC Polaroid Film Back for Hasselblad 500C/M 501CM 503CW 555ELD 503CX 553ELX 500" is in sale since Thursday, May 26, 2016. This item is in the category "Cameras & Photography\Film Photography\Film Backs & Holders".